If you are wondering where to travel this winter, here are some places that will make your holiday memorable. The French Quarter of India Puducherry or Pondi as it is fondly known has an old world charm like no other. If you are looking to spend a quiet holiday, Pondicherry’s White Town or the area close to the beach front is ideal. There are also several quaint cafes that serve French cuisine that will appeal to all foodies. Walk along the Promenade overlooking the beach or simply enjoy the tranquillity of the Aurobindo Ashram. You can also head to Auroville, an experimental township located off the town that has the Matrimandir a space where you can find a spiritual connect with yourself. Spend time at one of the many boutique hotels and beach resorts and have a holiday that is relaxing. If you want to explore the place, check out the botanical garden as well as the Government museum. Do make a visit to the beautiful Arulmigu Manakula Vinayagar Temple that has many forms of Ganesha. 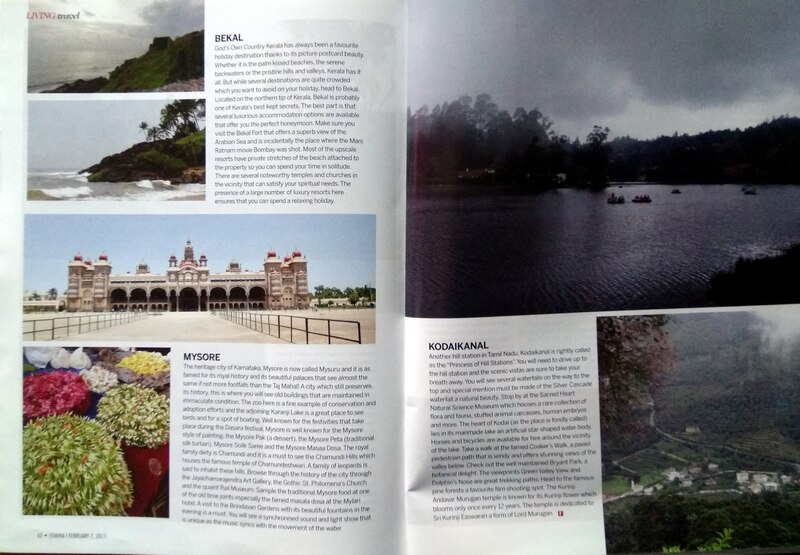 God’s Own Country Kerala has always been a favourite holiday destination thanks to its picture postcard beauty. Whether it is the palm kissed beaches, the serene backwaters or the pristine hills and valleys, Kerala has it all. But while several destinations are quite crowded which you want to avoid on your holiday, head to Bekal. 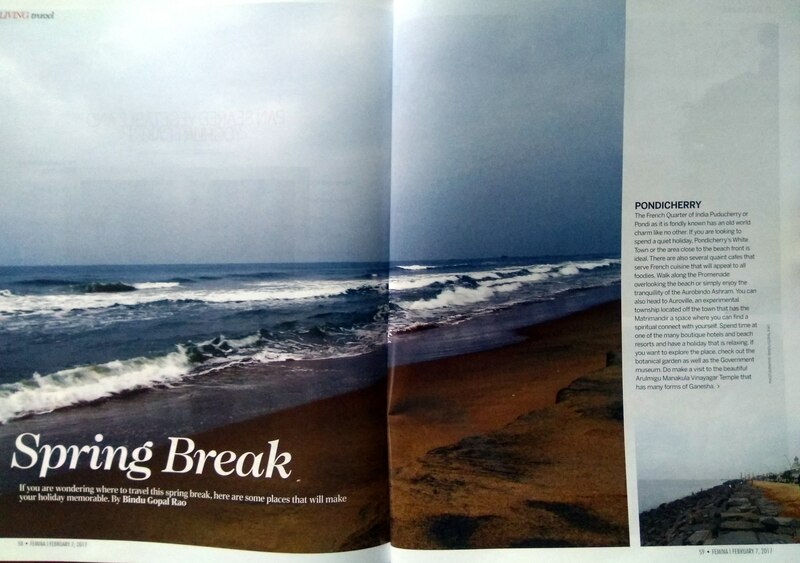 Located on the northern tip of Kerala, Bekal is probably one of Kerala’s best kept secrets. The best part is that several luxurious accommodation options are available that offer you the perfect honeymoon. Make sure you visit the Bekal Fort that offers a superb view of the Arabian Sea and is incidentally the place where the Mani Ratnam movie Bombay was shot. Most of the upscale resorts have private stretches of the beach attached to the property so you can spend your time in solitude. There are several noteworthy temples and churches in the vicinity that can satisfy your spiritual needs. The presence of a large number of luxury resorts here ensures that you can spend a relaxing holiday. Located in the coffee growing part of Karnataka, Coorg is a great choice for a winter holiday as it one which will give you the privacy you need. 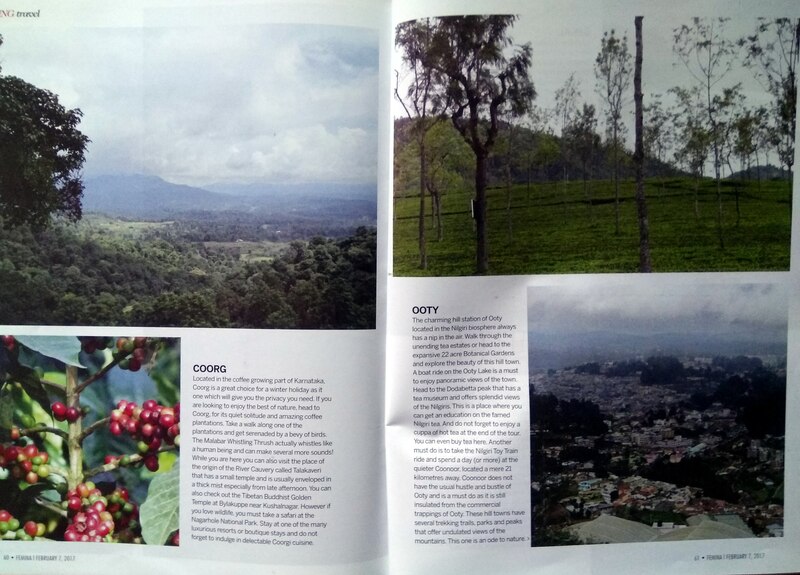 If you are looking to enjoy the best of nature, head to Coorg, for its quiet solitude and amazing coffee plantations. Take a walk along one of the plantations and get serenaded by a bevy of birds. The Malabar Whistling Thrush actually whistles like a human being and can make several more sounds! While you are here you can also visit the place of the origin of the River Cauvery called Talakaveri that has a small temple and is usually enveloped in a thick mist especially from late afternoon. You can also check out the Tibetan Buddhist Golden Temple at Bylakuppe near Kushalnagar. However if you love wildlife, you must take a safari at the Nagarhole National Park. Stay at one of the many luxurious resorts or boutique stays and do not forget to indulge in delectable Coorgi cuisine. The charming hill station of Ooty located in the Nilgiri biosphere always has a nip in the air. Walk through the unending tea estates or head to the expansive 22 acre Botanical Gardens and explore the beauty of this hill town. A boat ride on the Ooty Lake is a must to enjoy panoramic views of the town. Head to the Dodabetta peak that has a tea museum and offers splendid views of the Nilgiris. This is a place where you can get an education on the famed Nilgiri tea. And do not forget to enjoy a cuppa of hot tea at the end of the tour. You can even buy tea here. Another must do is to take the Nilgiri Toy Train ride and spend a day (or more) at the quieter Coonoor, located a mere 21 kilometres away. Coonoor does not have the usual hustle and bustle of Ooty and is a must do as it is still insulated from the commercial trappings of Ooty. These hill towns have several trekking trails, parks and peaks that offer undulated views of the mountains. This one is an ode to nature. Another hill station in Tamil Nadu, Kodaikanal is rightly called as the “Princess of Hill Stations”. You will need to drive up to the hill station and the scenic vistas are sure to take your breath away. You will see several waterfalls on the way to the top and special mention must be made of the Silver Cascade waterfall a natural beauty. Stop by at the Sacred Heart Natural Science Museum which houses a rare collection of flora and fauna, stuffed animal carcasses, human embryos and more. The heart of Kodai (as the place is fondly called) lies in its manmade lake an artificial star-shaped water body. Horses and bicycles are available for hire around the vicinity of the lake. Take a walk at the famed Coaker’s Walk, a paved pedestrian path that is windy and offers stunning views of the valley below. Check out the well maintained Bryant Park, a botanical delight. The viewpoints Green Valley View and Dolphin’s Nose are great trekking paths. Head to the famous pine forests a favourite film shooting spot. The Kurinji Andavar Murugan temple is known for its Kurinji flower which blooms only once every 12 years. The temple is dedicated to Sri Kurinji Easwaran a form of Lord Murugan. The heritage city of Karnataka, Mysore is now called Mysuru and it is as famed for its royal history and its beautiful palaces that see almost the same if not more footfalls than the Taj Mahal! A city which still preserves its history, this is where you will see old buildings that are maintained in immaculate condition. The zoo here is a fine example of conservation and adoption efforts and the adjoining Karanji Lake is a great place to see birds and for a spot of boating. Well known for the festivities that take place during the Dasara festival, Mysore is well known for the Mysore style of painting, the Mysore Pak (a dessert), the Mysore Peta (traditional silk turban), Mysore Soilk Saree and the Mysore Masaa Dosa. The royal family deity is Chamundi and it is a must to see the Chamundi Hills which houses the famous temple of Chamundeshwari. A family of leopards is said to inhabit these hills. Browse through the history of the city through the Jayachamarajendra Art Gallery, the Gothic St. Philomena’s Church and the quaint Rail Museum. Sample the traditional Mysore food at one of the old time joints especially the famed masala dosa at the Mylari hotel. A visit to the Brindavan Gardens with its beautiful fountains in the evening is a must. You will see a synchronised sound and light show that is unique as the music syncs with the movement of the water.